Win Up To $15,000 In Cash! If the Progressive Prizes are not selected, they will rollover to next month and the progressive totals will grow. 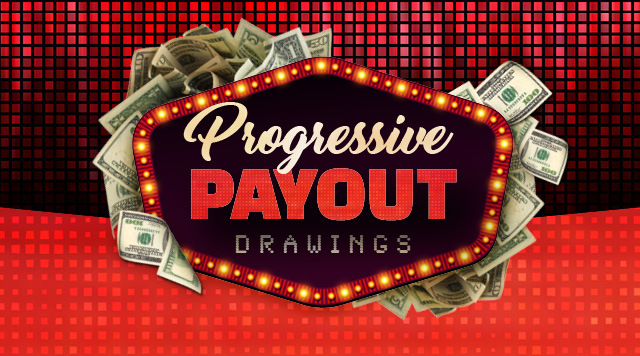 The Progressive Prizes will continue to rollover if not selected until October, when they are GUARANTEED to be given away! B Connected Members get one free entry into each month’s drawing. Claim your bonus free entries based on your card level at a kiosk on Mondays from the 1st until the drawing date each month. Must be 21 years of age or older with a valid state or government issued photo ID. Must be a B Connected Member. Must be present in the casino or pavilion to win. All entries must be activated between 5:00pm and 9:45pm on the drawing date to be eligible for the drawings. Entries can be activated by swiping your B Connected Card at a kiosk or simply by playing slots or tables with your B Connected Card. Bonus entries must be claimed at a kiosk prior to being activated. *Bonus multipliers not valid on top progressive prize.